Holistic dentistry incorporates both natural health philosophies and traditional dentistry techniques to provide dental care that improves your overall health and lifestyle (not just your smile). If you opt for holistic dental care, we will identify and assess the impact of a comprehensive range of issues on your overall dental health. These issues include: nutrition, stress, oral hygiene, chronic illness, and old or metal fillings. An appropriate treatment is advised in light of the patient’s general health and lifestyle recognising the patients desire to use either traditional or alternative treatments. This treatment will be discussed following a comprehensive oral examination. 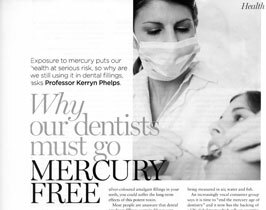 One of the main holistic dentistry services that dhealth Dentistry in Camberwell provides is the safe removal of mercury amalgam (such as that found in old metal fillings). We perform this procedure with the utmost care to minimise the risk of you swallowing toxic debris. Proper isolation and high volume suction are critical. So, we use a rubber dam to protect you, and to improve the bond of the new restoration. Once all mercury is safely removed, the debris must then be properly disposed. Here at dhealth, we take environmental considerations seriously. So we’ve made sure our disposal methods are as safe as possible. Our unique suction system separates 99% of the amalgam, trapping it in a special filter, before the waste fluid reaches the drain. This new standard of environmental care for dentists (with which dhealth Dentistry in Camberwell is already compliant) eradicates mercury contamination of water, and will soon become law for all Australian dental practices. 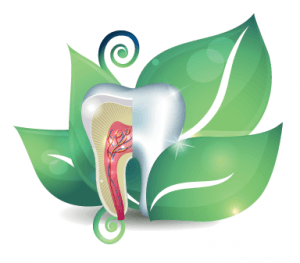 Why Opt for Holistic Dentistry? Holistic dentistry reduces or eradicates potentially toxic substances from your body, helping your overall health and wellbeing. For instance, we use only BPA-free fillings. BPA is potentially a harmful chemical found in many types of plastic. By it’s very nature, holistic dental care improves your overall quality of life, and general health and wellbeing. The very important issue of holistic dental health was recently covered in Women’s Weekly magazine. You can read the article by clicking on the image below.